HOME > Audio > Sting Like A Bee present: »Melting Pot«. Sting Like A Bee present: »Melting Pot«. Ever since the day DJ Kool Herc used his reggae background and became the hip hop founding father back in the 1970′s, the kinsmanlike relationship between hip hop and reggae has developed in manifold ways. Reggae and dancehall artists riding hip hop beats, rappers using tracks based on reggae or dancehall samples, countless cross-genre remixes and collabos, the work of jamaican descendants in urban environments… the connections between the genres run deep. 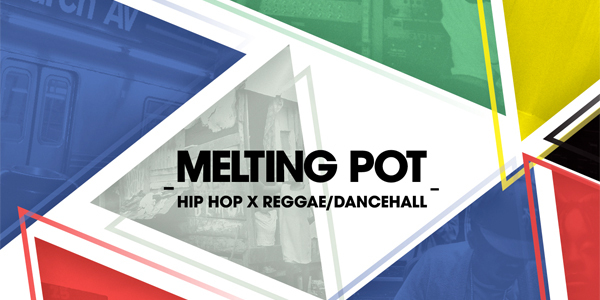 »MELTING POT« aims to put these family ties on display with an exclusive selection of originals, remixes and dubplates covering every aspect of this urban fusion.